It was a very exciting day for the pups of Your Hound, as we decided to go to the park to explore! We also had a special guest joining us with her pug, Bella. Olympic swimmer for the Seychelles, Shrone Austin, came along for the walk with the pack. The usual pack, consisting of Connor, Evie, Ozzy and Roxy, were very excited about this. Connor and Ozzy were shaking from excitement in the car ride, and once we had got Evie, everyone was very happy to get going and re-discover the park. The park was not particularly busy today, so the dogs had a lovely treat getting to have it almost all to themselves. 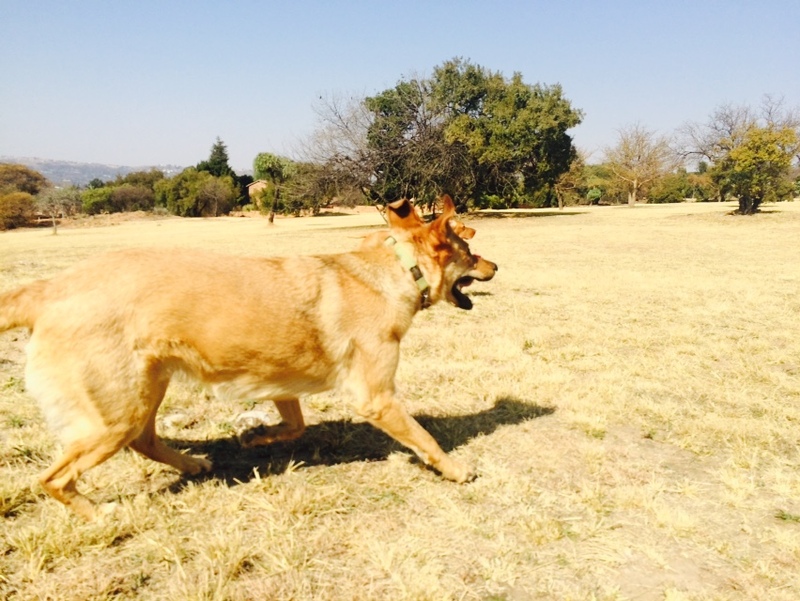 We took a tennis ball for the dogs to chase, which they absolutely loved. Connor would watch the ball closely, and always be ready to sprint so he could outrun the other dogs. He had some very close races with Evie and Ozzy. Connor always loves to socialise with other dogs in the park, and made a new Alsatian friend, who he met and ran around with a few times. Connor was so happy to be able to go the park and run around freely with his buddies. He was so tired when we got back to drop him off, but very happy to have gone out. What a successful day with the pack! 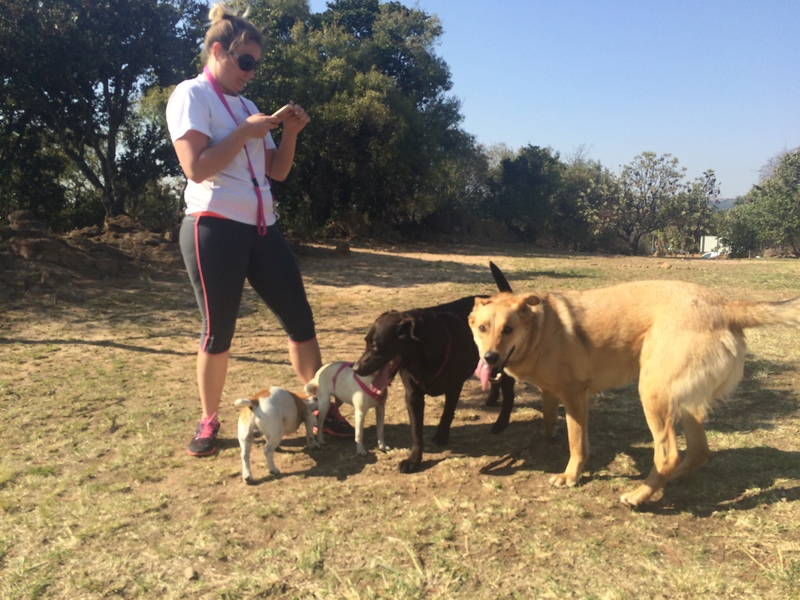 This entry was posted in Dog Walking and tagged #YourHound_SA, animals, city streets, Dog walking, dogs, Johannesburg, nature, park, Pets, Randburg, Socializing. Bookmark the permalink.